This insightful work fills a gap in theatre studies, illuminating how modernism influences theatrical interpretations and productions. Kindelan focuses on how contemporary practitioners evoke new renderings of classical playscripts, incorporating interviews with over 20 prominent professional actors, directors, designers, and dramaturgs who discuss the way they work with a playscript in preparation for production. The book includes a case study illustrating how imagistic readings of Chekhov's The Seagull produce metaphorical productions. Kindelan addresses such controversial issues as subjectivity, imagistic theatre, reconceiving, and the artist as auteur. This work will be a valuable resource for theatre artists interested in developing their interpretive skills. 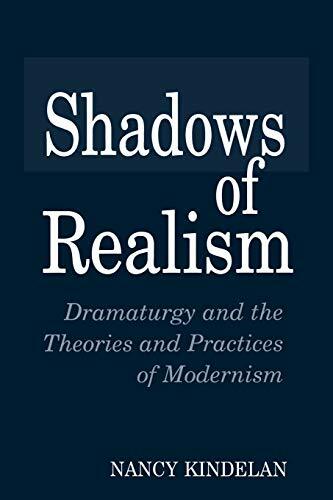 Illuminates how modernism influences theatrical interpretations and productions; focusing on how contemporary practitioners evoke new renderings of classical playscripts. NANCY KINDELAN is Associate Professor of Theatre at Northeastern University. She directs in academic and professional theatres throughout the New England area. Her scholarship has appeared in the Journal of Dramatic Theory and Criticism, New England Theatre Journal, and American Theatre Companies, as well as other publications.